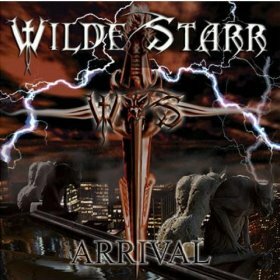 Hall of the Mountain King: Review: WildeStarr, "Arrival"
Arrival is not out of line with what you might expect the combination of a former member of Vicious Rumors and a female vocalist to sound like. It’s well-grounded in traditional and power metal, but also has some occasional progressive and goth elements, as well. Above all, though, it’s very well thought out and executed. Starr, who plays all of the stringed instruments on the record, proves himself just as adept with six strings as four. Wilde, for her part, strikes that difficult balance between femininity and power that so many female metal vocalists fall short of. The released single from the record “Arrival” is a perfect example of what to expect throughout. Based around a big memorable guitar riff, the song meanders through phases of heavy rock, soaring atmospheric synth sections and power metal bombast. Through all of that, though, it never gets out of hand or goes too over the top. It’s all very controlled and focused, and it strikes its target like a laser. There are plenty of crests and valleys throughout the course of the album, and each song, but occasionally they just let it rip, as on “Rise.” It’s a scorching rocker from beginning to end, with Wilde working out her vocal cords and giving her best Rob Halford shriek on the verse. The Metal God would be proud, too. She hits those notes again on the opening of “Generation Next,” built around another big riff from Starr. While they’re some of the least complex tracks on the record, those two are also a pair of the most compelling. I particularly like the dark, acoustic parts of “Down of the Sun.” They have almost a medieval feel at some points, and I do wish they’d explore that territory a little more in the future. The rock parts seem almost a little disappointing to me because the softer moments are so good. We get another taste of that on “Nevermore,” which is one of my favorite tracks on the record, and really gives Wilde a chance to show how captivating her vocals can be. Even on the heavier parts, the guitars take a back seat to her voice, and it’s a great performance. Arrival has everything that I want in a metal record. 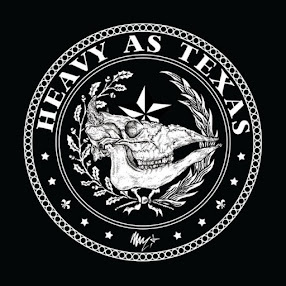 Big guitar riffs, great vocals and plenty of bombast, without the cheese that often goes with it. It was definitely much better to discover it late than never. When he sent me the record, Starr told me that the duo is currently working on the follow-up and plan to have it out later this year. I can’t wait to hear where they go from here, and I guarantee that I won’t miss it this time around.